Blood Orange and Syrah Liquid Soap (P/N LSBLS). 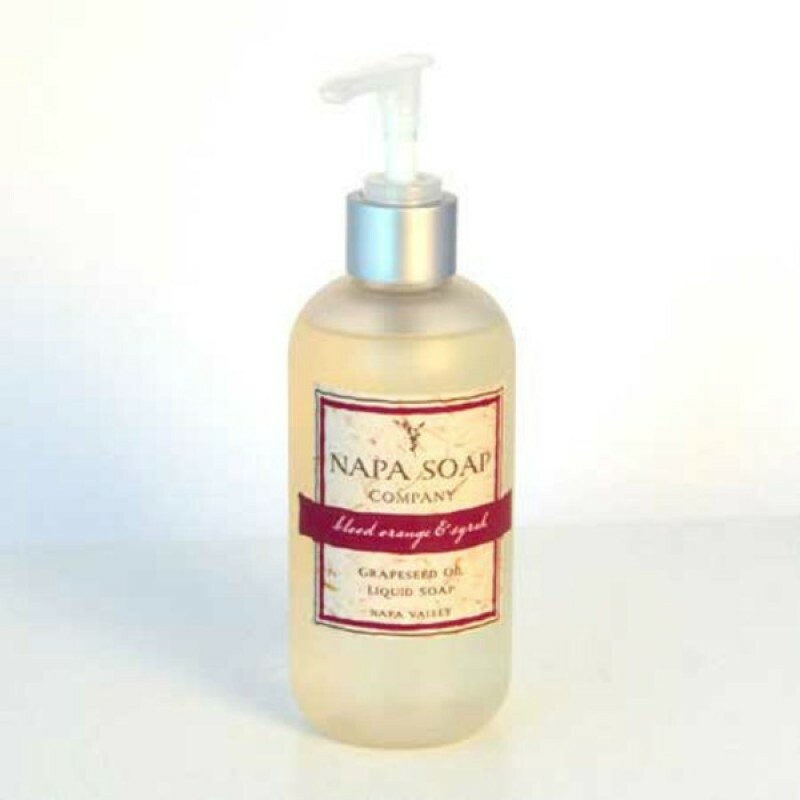 The Napa Soap Company crafts their products in small batches by hand, using organic ingredients from the Napa Valley whenever possible. A little bit of Napa Valley goes into every product —the grapeseed oil and grapeseeds are a by-product of the wine industry. The eco-friendly practices don't end there; in fact, the labels are printed on stone paper, and all paper and packaging are made from recycled materials. This soap will quickly become a staple in your home, and it contains NO SLS, parabens or phthalates. With its thick, creamy suds and amazing aroma, this product is highly addictive. Packaged in a plastic bottle, enjoy the liquid soap in the shower too! Grapeseed oil and wine (an antioxidant) combine to create pure decadence for your skin and a scent you won't forget.